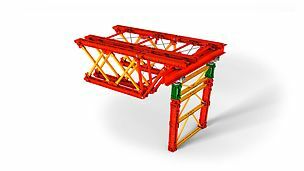 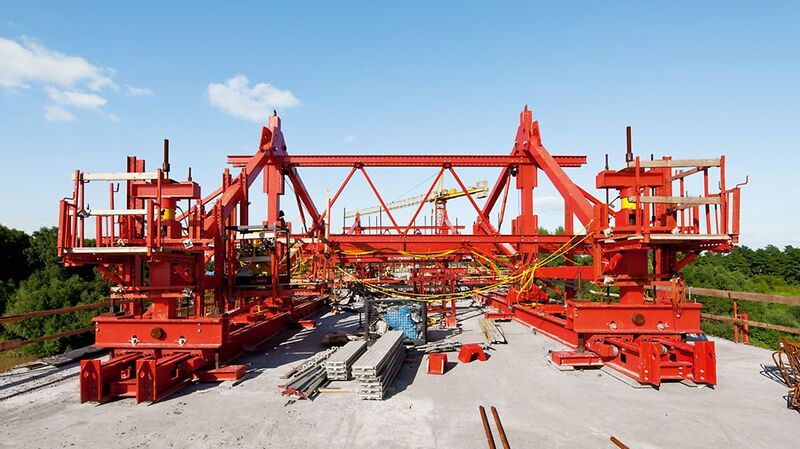 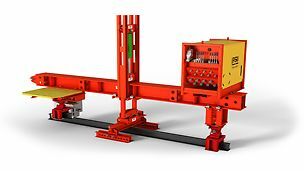 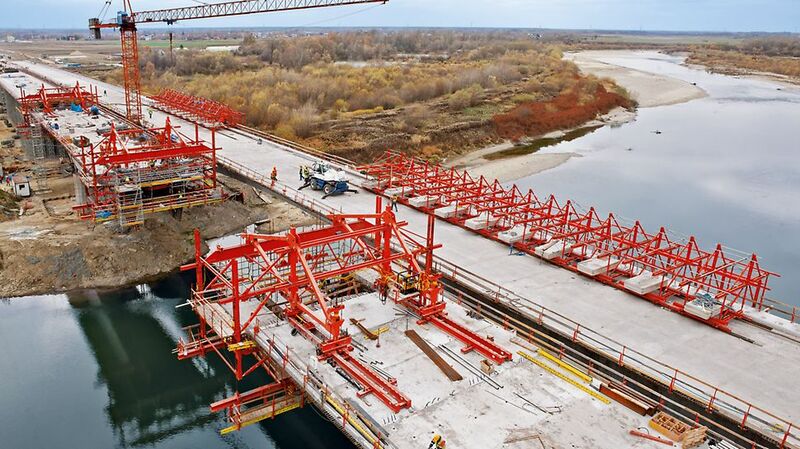 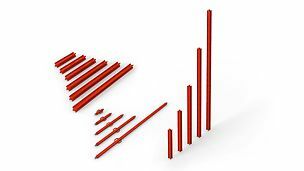 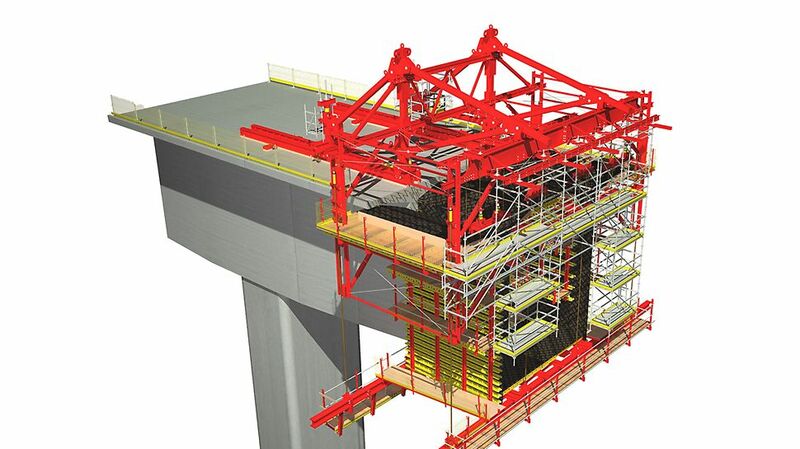 The PERI VARIOKIT solution for the cantilever method is a combination of stable, specifically developed system components for the main load transfer and VARIOKIT standard parts for the design of formwork, work scaffolding and platforms, as well as adjustment to the geometry of the cross-section. 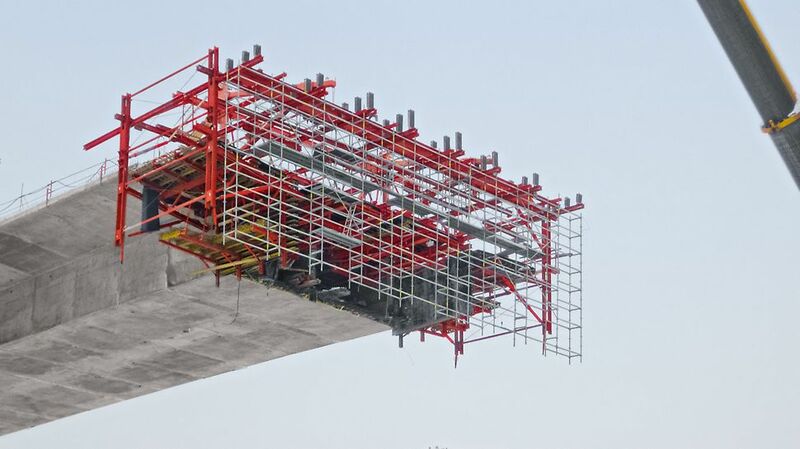 The balanced cantilever equipment transfers the fresh concrete loads into the supporting structure and moves the formwork from section to section. 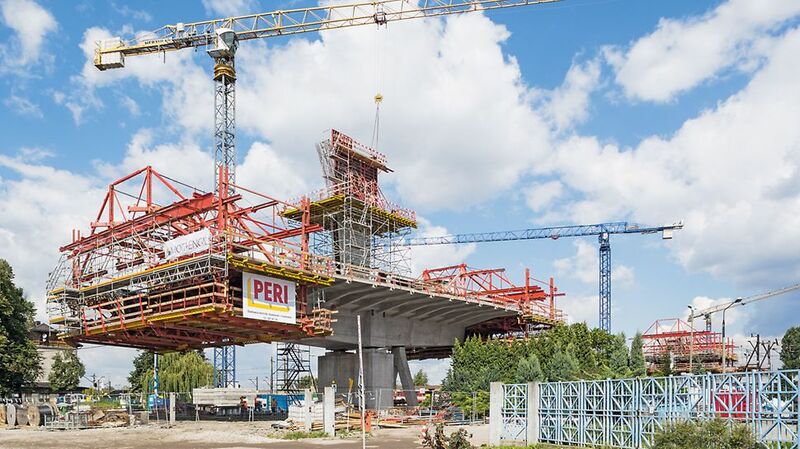 In order to accommodate the changes in the hollow box cross-section, a formwork solution consisting of VARIO girder wall formwork is used.